Position: The Whole Darn Crew! Why They’re The One: It’s never easy to say goodbye to a store, we really enjoyed being a part of the Los Gatos community. 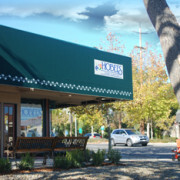 It’s important to know that the closing crew at Hobee’s Los Gatos, handled a difficult situation with grace, dignity and professionalism until the very last minute. Despite losing some employees unexpectedly, the remaining crew never let down and put forth their very best effort to show true Hobee’s pride and service. Debbie, Javier, Carlos Q, Patricia and all of the rest of the crew really demonstrated the meaning of “Be the BEST”. Carlos I., Raul and Angel put endless energy and effort into leaving the place better than we found it 5 years ago. And we would be remiss if I didn’t mention some of the newcomers: Jose Valencia (yes, another one), Luis and Fernando and all of the other recent hires that really caught on to the Hobee’s vibe and did a great job over the final several weeks. Most of these employees are now in other Hobee’s or other jobs, but the Hobee’s Los Gatos spirit will live on in our memories as a worthy effort from beginning to end. Viva Los Gatos! Why She’s The One: This is Janet’s second Star Employee award. (Her first was in 2009.) She thoroughly deserves the distinction since she has really stepped up her game of late. Janet is one of our most flexible managers and is always available to fill in at other locations. Her crafts on Kids Eat Free Wednesdays are legendary and build business during our slowest dining segment. Janet also keeps her cool during the most hectic times. 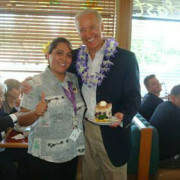 A great example of her ability to handle pressure is her demeanor during June’s surprise visit by Vice President Joe Biden: Amidst the excitement and commotion, Janet made sure to keep the dining room running smooth. We congratulate Janet on once again being named Star Employee of the Month! Why She’s The One: Lupe has a great Hobee’s pedigree: Her parents are Redwood Shores superstars Hilario Fuentes (Kitchen Manager) and Veronica Nuve (Cook). In her first year at Hobee’s, Lupe has done her parents – and the entire crew – proud. Her fellow employees rave about her hosting skills and say that the weekends would be much more stressful without her. Lupe is described as “hard working”, “very smart”, and “friendly and efficient”. She will no doubt use those qualities to her benefit as she pursues her future career. (She has plenty of time to map that out since she just graduated from Woodside High!) 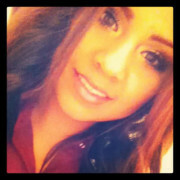 We congratulate Lupe on being named Star Employee of the Month! Why He’s The One: Rob has very quietly presided over one of the biggest growth spurts our northernmost location has had in a very long time. With all of the attention on Palo Alto after Stanford closed in January, Rob and his crew have made us take notice by capturing a large number of former Stanford regulars and giving them a new Hobee’s home. Rob enjoys building the business and does it one customer at a time. He’s always smiling, attentive and well-dressed. Large parties and even larger Waiter.com orders don’t stress him out. He frequently chips in and helps his fellow employees and managers. Rob has been particularly helpful with helping us store all of our excess equipment from other locations at his huge restaurant. Congratulations on this distinction, Mr. Diaz! Why She’s The One: After a brief battle with cancer, Tina passed away in Saratoga in the company of her loving family this spring. Tina worked at Hobee’s Pruneyard as a server and manager for over a dozen years. She was a seasoned restaurant pro and performed her duties with confidence and an ever-present smile. 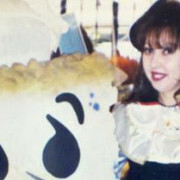 Tina loved her customers and always took extra time with her regulars. Her hearty laugh could often be heard echoing through the restaurant. She was a favorite of co-workers who found her warm spirit to be inspiring and infectious. A few weeks ago before her death, we presented Tina with our annual Hobee’s Hero Award in recognition of her strength in the face of adversity. 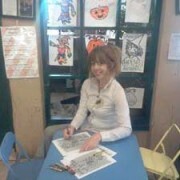 All of us at Hobee’s will miss her dearly. Why He’s The One: We chose Jose Luis as the recipient of this year’s Paul Taber Commitment to Excellence Award, given each year to an employee who demonstrates the founder’s legendary dedication to service and quality. 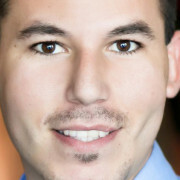 Jose Luis began working for Hobee’s as a host in 1996. In his years as a server at both Stanford and Palo Alto, he has won the friendship and admiration of his many co-workers. General Manager Jose Valencia says that Jose Luis is extremely responsible and an “all-around good guy”. He has also cultivated wonderful relationships with scores of regulars who ask for his section. He is a terrific example for those at Hobee’s who want to move up through the ranks. Jose Luis has succeeded in his job through consistency and determination. We’re proud to honor his contributions to Hobee’s with our 20th annual Paul Taber Commitment to Excellence Award and Star Employee Award. Why They’re The One: Counting down the final weeks of Hobee’s Stanford was no easy task. Everyone was dreading January 6th, but the crew wanted to go out on top and make the final days special for our customers. They absolutely met their goal. Jose Valencia and Daniel Chijate did a terrific job juggling their schedules while placing Stanford employees at their new Hobee’s homes. In the end, many long-term employees were on hand to see the conclusion of a magnificent era, including: Presciliano Melchor (27 years), Daniel Chijate (24 years), Tomasa Anaya (22 years), Sergio Carlos (19 years), Jose Valencia (18 years), Jose Luis Salto (17 years), Cecilia Reyes (15 years), Gabriel Pardo (13 years), Rafael Virrueta (13 years), Teodoro Campos (13 years), Eliseo Moreno (12 years) and Francisco Zuniga (11 years). Thanks to these veterans and everyone at Stanford for a fabulous run! Why He’s The One: Though he looks like he’s young enough to be a college student, Modesto has put in some serious time at Hobee’s: 15 years! 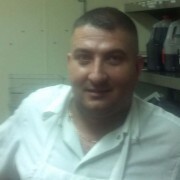 We’re especially proud that he started as a busser and worked his way up to server and assistant manager positions. The ever-smiling Modesto was able to advance because he has a great work ethic and is always trying to learn the next thing. Modesto’s kindness is well-known to his co-workers. A great recent example of his selflessness is when he helped a distressed motorist fix his car in front of the restaurant. Even though the man wasn’t even a customer, Modesto patiently helped him until he was able to drive away safely. 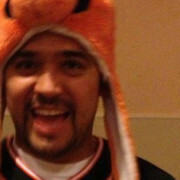 We’re so glad to have Modesto on our team and congratulate him on this honor! Why She’s The One: Annie came to Hobee’s Pruneyard after moving from Texas three days before Christmas last year. She was indeed a terrific holiday gift to the restaurant. Always upbeat and positive, she quickly became a favorite of customers. When Felipe needed to fill management shifts this summer, Annie enthusiastically entered the management training program and thrived. According to VP Camille Chijate, she performed at a high level right out of the gate. Host Sydney Clark added: “Annie has wonderfully taken on the new challenge of manager and gives outstanding customer service. She makes her guests feel valued.” We’re thrilled to have Annie on our team and congratulate her on this honor! Why He’s The One: The challenge of working at Hobee’s during the night shift is that the business is not nearly as predictable as breakfast and lunch. It can be very slow or insanely busy. 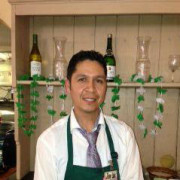 No matter how hectic it gets during the Palo Alto dinner period (including some huge Waiter.com orders), Pedro Soto always maintains a great attitude and a smile on his face. His food quality is consistently excellent and always plated with care. Since Pedro works at the Hobee’s in front of the Corporate Office, he often faces an extra level of scrutiny from the owners and other VIPs. 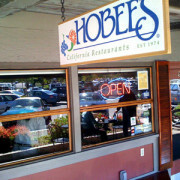 His creations often cause co-owner Peter Taber to compare Hobee’s dinner fare to much more expensive fine dining establishments. We’re very fortunate to have employed Pedro for the past eleven years and congratulate him on this honor!